So many interpretations of a good match are running through my mind tonight – father and son, mountain hiking and stress relief, nature and escape, family time and growth. You name it and I’ll find a way to match it with a quote and a shot of the Pacific Northwest. 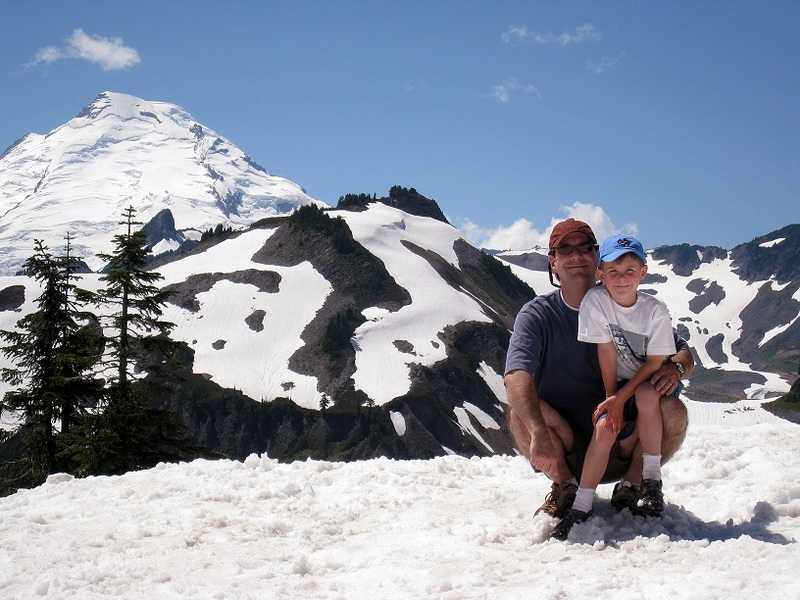 This weeks image is a look back to our 2008 day at Artist Point in the Mt Baker-Snoqualmie National Forest and one of my favorite shots of John and Ryan together. Posted as part of the Weekly Photo Challenge: A Good Match. Well done and I agree as much as anyone can! That is a great shot. Father and son look very happy. There is a lot to be said about going out into the wilderness to escape the stress that has become our lives. Though I suppose for some, the wilderness can be a stressful place. Fathere and son were very happy, Patrick and now I want to return for an updated picture. You’re right that the wilderness isn’t an escape for all but I like to think it is for many of us and the more people who can appreciate our open spaces means there are more who will fight for their preservation. I believe that if you take time to enjoy the outdoors, one will eventually come to embrace being in nature. Unfortunately for many, they never get beyond the parking lot near a view point. I have discovered this in my many hikes. After about a half mile the trail becomes quiet. I definitely think a new picture at the same place would be cool. I suspect Finn would be part of the scene. Finn might be part of it but in truth he hates the snow and this location is always white. Believe it or not this shot was taken in August and the road up the mountain is only open a few months out of the year. It’s so beautiful though it’s worth the wait! I am already planning rides in Rainier and Olympic National park JUST for this reason! Great shot!! I really want to get back to Rainier this year, it’s been too long since our last visit. ONP is one of my all time favorite places and I’m hoping we get to explore the NW corner late summer. Glad you like the shot! Thank you, Dina. 🙂 It was a beautiful day together. love john muir, the wonderful reminder that this post is, and the PNW. Thanks for sharing.